The temple architecture of Karnataka reflects the style of the Hoysala dynasty that created smaller, intricately carved shrines quite different to those in neighbouring Tamil Nadu. The extensive Vijayanagar site at Hampi is well worth a two day stop. This itinerary also includes the wonderful caves at Ajanta and Ellora- quite a detour but definitely well worthwhile. Conclude your cultural experience with time for relaxation on the beaches of Goa and a visit to Mumbai - India's most cosmopolitan city. 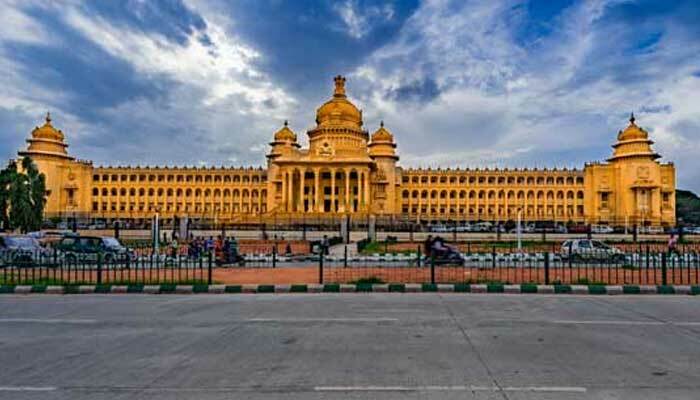 After breakfast depart Bangalore and drive 4 hours to Mysore, the former capital of the state of the same name and one of the most historic and culturally diverse cities in southern India. 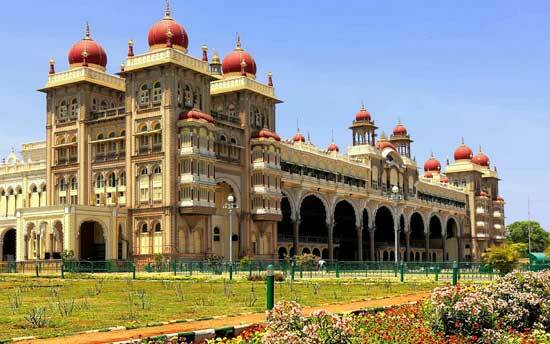 In the afternoon, visit Chamundi Hill temple, Mysore Palace and the famous Mysore Flower Market. Overnight in Mysore. Morning excursion to the Hoysala temple at Somnathpur, an excellent example of the temple architecture of Karnataka from the 13th century CE, and a delightfully quiet and serene destination, set among lush gardens and lawns. 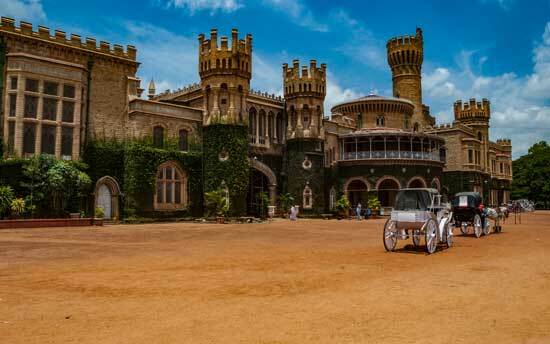 Later in the day return to Mysore with free time to explore the city in the afternoon. Overnight in Mysore. Depart Mysore bound for Hassan with several en route stops. Firstly visit the important Jain pilgrimage centre at Shravanabelagola- also home to a massive monolithic statue of a Jain deity. At over 17 metres tall it is probably the largest monolithic statue in the world. Continue on towards Hassan and stop in at two more stunning Hoysala temples- Belur and Halebid, both built in the early part of the 12th century CE. Overnight in Hassan. Karnataka is a large state and some long drives are inevitable- today's journey to Hospet will take around 7 hours but there are any number of interesting small towns and rural scenes on the way. 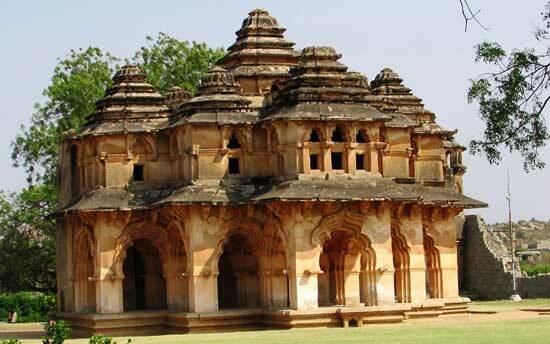 As there is very limited accommodation in Hampi most people stay in nearby Hospet or the smaller town of Anegundi. Overnight in Hospet. The vast archaeological site at Hampi is best experienced over at least 2 Days - allow more if you have time. Hampi is now a sleepy town with a single central bazaar and a slowly increasing number of tourists, but during the heyday of the Vijayanagar Empire in the 15th century it was the capital of much of south India. An almost incomprehensibly large site, Hampi encompasses temples, wells, palaces, rock-cut temples, bazaars and even a set of elephant stables - this vast area cannot really be done justice to with words. 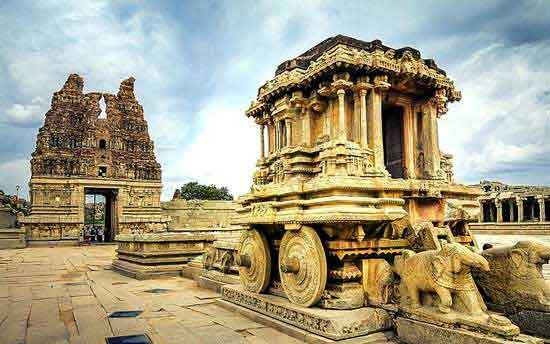 Set amidst a boulder - strewn landscape with pockets of lush agricultural land amongst the sea of rocks, Hampi can be explored by auto-rickshaw, bicycle or on foot, although autos are recommended to get to the more far flung parts of the site. The dry climate in this part of India has allowed the stone structures of Hampi to remain in a remarkable state of preservation. Another highlight is to make a very early start and climb to the top of one of the main hills in Hampi to watch the sunrise over the area - an unforgettable sight. 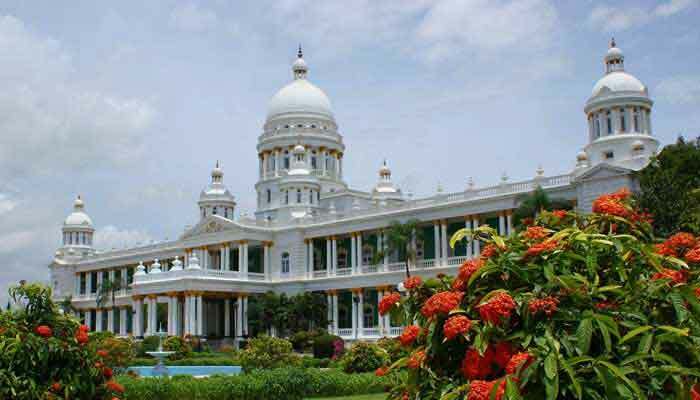 Two nights at Hospet or Anegundi. Drive north towards Badami with stops along the way to take in the ancient Chalukya capitals and some very early examples of Hindu temple architecture. Badami is a much more ancient site than Hampi and was in its pomp between the 4th and 8th centuries CE. 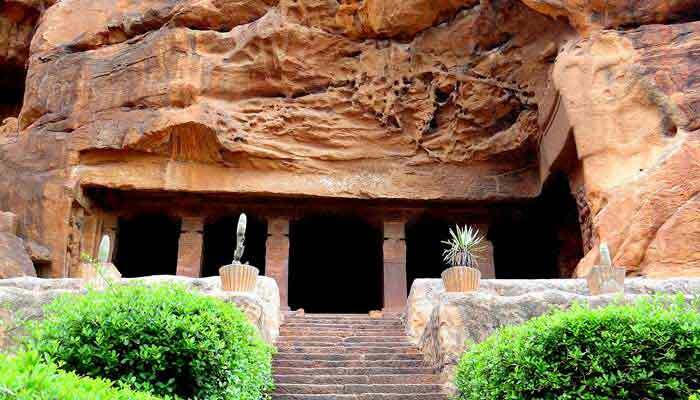 There are still many wonderful sights to see here, including the cave temples at Badami and many other early temples in nearby Aihole and Pattadakal. Overnight in Badami. 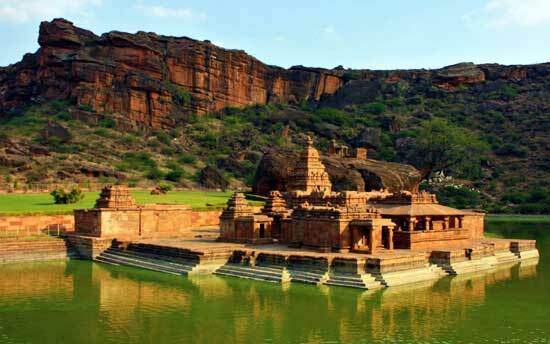 Spend a full day exploring this area- all three villages (Badami, Aihole and Pattadakal) are excellent for on-foot exploration and it is worth at least one full day to appreciate the scale and diversity of the area. Overnight in Badami. 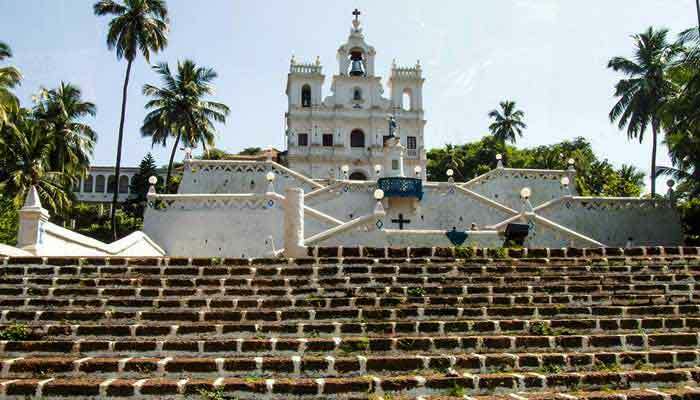 Drive to Goa, India's smallest state, famous for its beaches but also with an interesting historical element through the Portuguese connection to this part of the Indian coast. The drive from Badami will take most of the day so when you arrive you can relax by the pool or on the beach adjacent to your resort. Overnight in Goa. The exact programme for your stay in Goa will depend on how much of the time you want to spend on the beach. 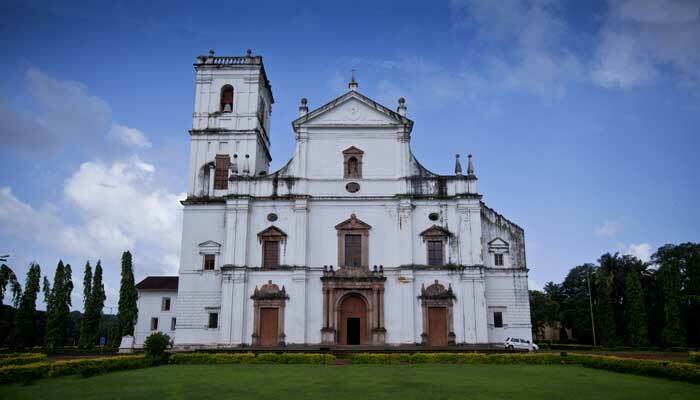 Away from the coast there are many interesting options- tour the churches and historic buildings of Old Goa with a local guide, tour a spice plantation, or visit the Mangueshi temples and Panaji City. Two more nights in Goa. Morning free before transferring to Goa airport for a flight to Aurangabad where you will be met on arrival and transferred to your hotel. Overnight in Aurangabad. Full day excursion to Ellora Caves, a magnificent group of rock-cut shrines, representing three different faiths (Buddhist, Hindu and Jain) and (which date) from between the 5th and the 13th centuries CE. 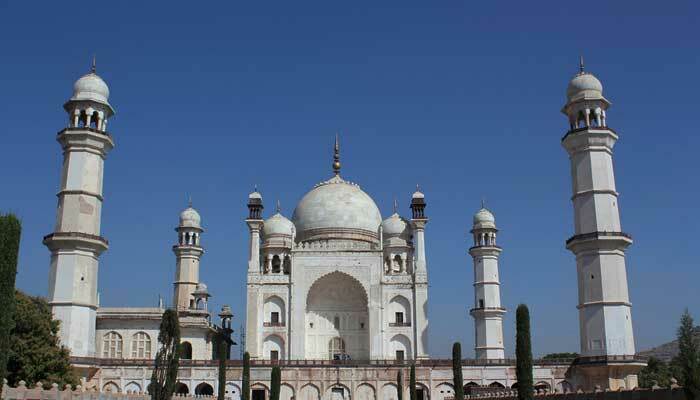 Overnight in Aurangabad. Excursion to Ajanta Caves which were rediscovered in 1819 after centuries of obscurity. Ajanta is large horseshoe shaped area of caves- all Buddhist in origin and in a wonderful state of preservation. 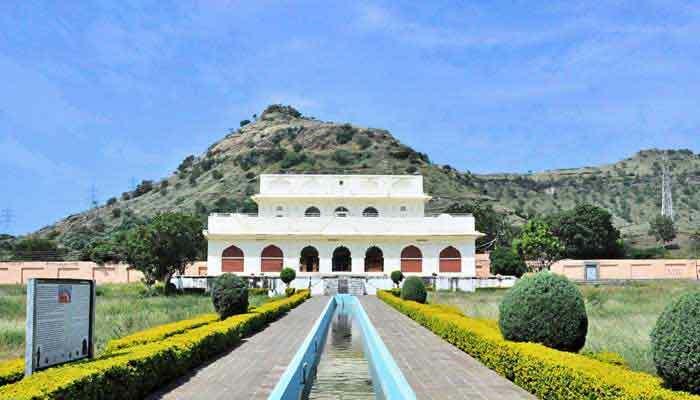 Tour this extensive site with a guide and later drive back to Aurangabad airport to catch the evening flight back to Mumbai. 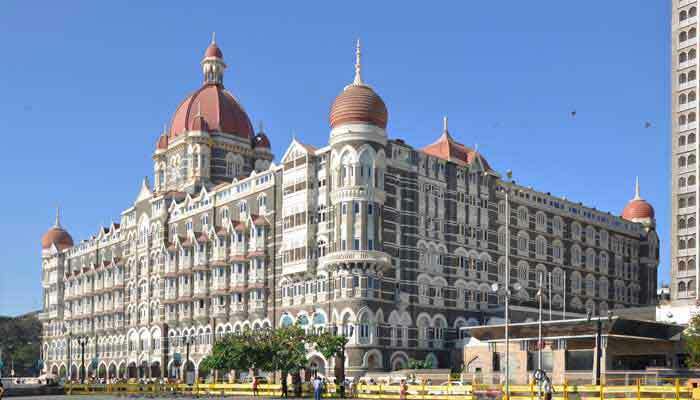 On arrival in Mumbai you'll be met and transferred to your hotel. Overnight in Mumbai. 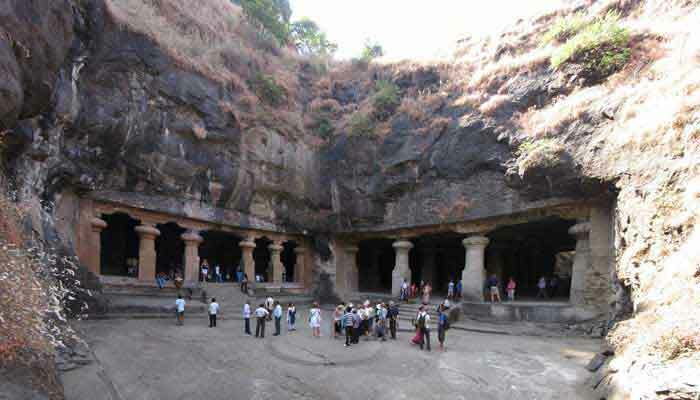 Morning tour to Elephanta Caves - another impressive series of rock-cut shrines- located on an island in Mumbai Harbour. In the afternoon join a local guide for a tour of some of Mumbai's finest temples, colonial buildings and gardens. Overnight in Mumbai. 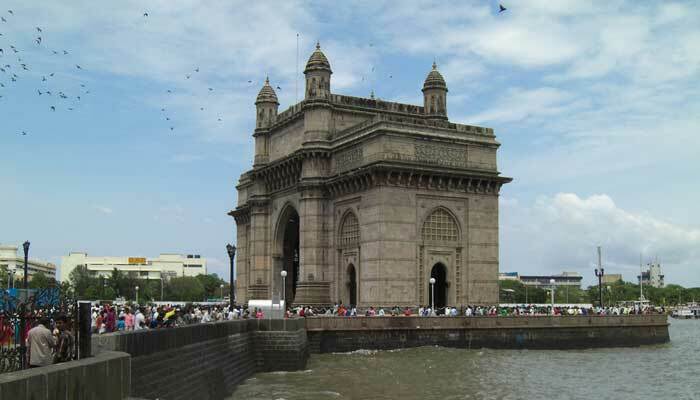 Free time in Mumbai prior to transferring to Mumbai airport for your flight home.